Water (Aqua), Polyethylene, Glycerin, Oxidized Polyethylene, Decyl Glucoside, Lauryl Glucoside,Sodium Cocoyl Isethionate, Cocamidopropyl Betain, Sodium Lauroamphoacetate, Sodium Methyl Cocoyl Taurate, Acrylates/C10-30 Alkyl Acrylate Crosspolymer, Papin, Algin, Panthenol, Sodium PCA, Sodium Hyaluronate, Sodium Hydroxide, Disodium EDTA, 1, 2-hexanediol, Carbomer, Chlorphensin, Ethylhexylglycerin, Hexylene Glycol, Caprylyl Glycol, Phenoxyethanol, Limonene,Fragrance (Parfum). 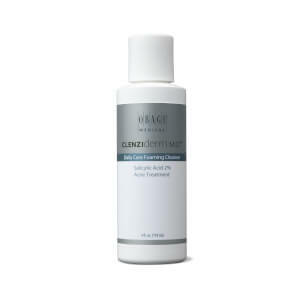 Great exfoliating cleanser. I bought this for myself but my husband likes it more than I do.